As this blog grows, you will find my original knitting patterns and projects listed here. Many are literally heart-shaped by design. Others integrate heart motifs and/or evoke expressions of the heart apart from the appearance of hearts. Truly, regardless of shape or style, whether offered for purchase or free, my beating heart went stitch-by-stitch into designing each and every one. is my tiniest heart-shaped pattern!
. . . including cast on !!! This slide show (with links below) will help you find them. a Sweetie♥KNIT♥Shamrockin’ St. Patrick’s Day! Have no fear… the Pumpkin Bramble♥tini Boooookmark is here! how to make Hearty Links with Felted Loops . . . I love this! 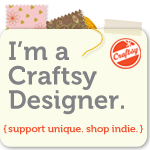 Your website and your designs are lovely! Once again, Congratulations my friend!! Have an AWESOME day!!! Hey there – thanks for visiting my blog! Come back and play sometime! http://www.thatssojacob.wordpress.com 🙂 greetings from Madison WI USA, aka home to your newest follower! Thank you for the follow on my blog! I love what I am seeing on your blog. Wonderful fun designs. Haven’t knitted in a long time but you may just tempt me with some things here. Now following you. My mother was the knitter in the family. My sister crochets, but I have no hand/eye coordination. I do appreciate the craft efforts of others! You have a lovely site. Hi, I really like your site and wondered if you have the pattern for the Dog Reindeer hat? Oh my gosh! So silly of me! I love that! I love that stitch name! I knit but nothing like what you do! I’m still knitting a blanket for my nephew I started when he was born. I’m embarrassed to say he’s 8. Oh wow! ❤ too funny! Hi, thank you for visiting, and following my blog! I am thoroughly enjoying my foray into yours! It is so cool! Happy Spring Day! I would like to thank you for visiting, following, and also liking some of my posts 🙂 I am so impressed meet you here. I love your knitting and one day I want to learn it as my mom did when I was a kid 🙂 Thank you and God bless. Wanted to drop by and thank you for choosing to follow JoHannaMassey.com. Your kind words are very appreciated. You have created such a lovely website and are so talented. Great how you share your patterns and techniques. Just wonderful. Hi Jackie! I wanted to thank you personally for taking the time to read my post about my momma’s cancer relief crowdfunding campaign. It means the world to me and my brother that you took time out of your day to read it. If you are able please please please reblog our post or share our cause wherever you can. I know that just in simply sharing it you could make a tremendous impact on our small, humble family. Thank you for your consideration. Wow, so much creativity! I am awestruck. Can’t wait until I get my hands on some knitting needles again! I am sure I will – they look amazing! Hi, Thank you for visiting my blog! I enjoy seeing your icon turn up! ❤💙💛❤💚 Lord bless you!